A full Smile Makeover can completely rejuvenate the appearance of your smile. This innovative procedure can ultimately resolve an array of common concerns that may be making you self-conscious whenever you open your mouth to smile. Smile Makeovers are fully customized procedures based on the treatments you select to include, allowing for results that address your unique concerns and comprehensively renew your smile aesthetic. Our skilled cosmetic dentist, Harold A. Pollack, DDS, will work with you to create a personalized treatment plan designed to give you the smile of your dreams! A Smile Makeover is a procedure that combines two or more aesthetic or restorative dental treatment options to improve several concerns that are affecting the appearance of an individual’s smile. To formulate the customized Smile Makeover treatment plan, our dentist will evaluate your needs and goals and recommend specific treatment options that will be ideal to include in the procedure. Dr. Pollack and our dental team utilize state-of-the-art technology and many of the latest treatment techniques to perform Smile Makeovers that can significantly enhance the look of your smile with long-lasting results. 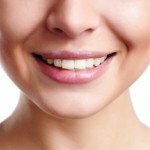 What Concerns Can a Smile Makeover Treat? What Is the Smile Makeover Process Like? During the initial consultation, Dr. Pollack will evaluate your oral structures and talk with you about your goals. Our practice utilizes advanced dental technologies such as digital x-rays, digital intraoral cameras, and a 35mm professional high-resolution digital camera to precisely identify and diagnose the problems you are experiencing. Once you and Dr. Pollack have discussed your needs, he will recommend the best treatment options to select for your customized Smile Makeover. When you have made your selections, Dr. Pollack will develop the treatment plan and go over all aspects of it with you. In some cases, the Smile Makeover procedure can be performed in a single appointment; in others, a staged series of appointments will be scheduled. The best course of action will ultimately depend on the type and number of treatments that are included, as well as the complexity of the procedure and what is most ideal for your needs. View our cosmetic dentistry before-and-after photo gallery to see the results of treatments that can be part of a comprehensive Smile Makeover! Since Smile Makeover procedures are customized and vary significantly from one patient to another, the total price is different for each individual. The cost of a Smile Makeover will ultimately depend on the overall complexity of the procedure, which treatments have been selected and how many are included, dental materials fees, and other factors. Once your Smile Makeover treatment plan is created, a member of our dental team will calculate a price quote that comprises all associated expenses so you will know what to expect. Beautiful Smiles accepts a wide range of payment methods, and we work with a dental financing agency called CareCredit®, which offers qualified applicants an assortment of monthly payment plans that can help make treatment as financially convenient as possible. We look forward to answering any questions you may have about how you can bring this advanced treatment into your budget. Would you like to learn more about our Smile Makeover options? Please contact us today for additional details, or to schedule an appointment.